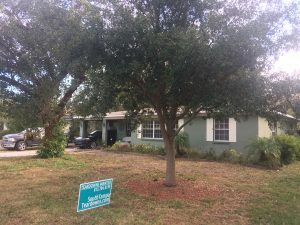 Why is it important to work with a trusted builder and South Tampa Teardowns? This family had to close on their new house Friday afternoon. We worked with our title company to make sure the paperwork was completed a day early on Thursday… the sale of the old home was fully funded Friday by one of our trusted builder partners that morning and the money was available for the new purchase right on time. Moving day was on Saturday, because we gave them time AFTER closing to vacate the property. Do you have an older, smaller home in South Tampa that needs lots of updates? Do you want to make sure you work with a trusted builder who is prepared to close so you can make your move? We will partner you with a trusted builder and help you make the move into a new home on time and without the hassles or expenses or fixing up and listing a property. The last thing you want to do is tie up the property for weeks with a ‘buyer’ or ‘investor’ that hasn’t done any due diligence and can’t actually close. Make sure on moving day… you don’t need to send the truck away. Call me today, 813-784-4199, or request your offer now at SouthTampaTeardowns.com. A proud member of the South Tampa Chamber of Commerce.